Bakit Hindi Ka Crush Ng Crush Mo? is a 2013 Filipino film adaptation of Ramon Bautista's novel of the same title. 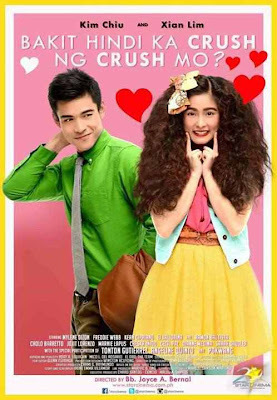 The romantic comedy film is produced by Star Cinema and is part of its 20th Anniversary presentation. It tells about the story of a brainy ugly duckling girl and on how she turns into someone who's worth loving. It is the first movie team up of Kim Chiu and Xian Lim and is directed by Joyce Bernal.